Det Sgt Lampard displays a photograph of victim Alan Taylor. POLICE are seeking information about the brutal bashing death of a man inside his Girrawheen home last month. Police were called to a home in Arnos Way about 4.45pm on Friday April 22. Inside they found the body of 42-year-old Alan George Taylor, a FIFO boilermaker. “It was quite a brutal attack,” Major Crime Squad Detective Sergeant Dean Lampard said. “Alan received significant injuries which indicated a high level of violence was used. Although we won’t specify how he received his injuries we believe a weapon was used. Mr Taylor lived with his ex-partner, their three-year-old son and “some other people”. Det Sgt Lampard said Mr Taylor’s family were understandably upset. “His family are very traumatised,” he said. Police are keen to speak to anyone who might have seen or heard anything suspicious in the area, no matter how small. “We’re speaking to many people, anybody who had anything to do with who he was and his lifestyle and what he was about,” Det Sgt Lampard said. 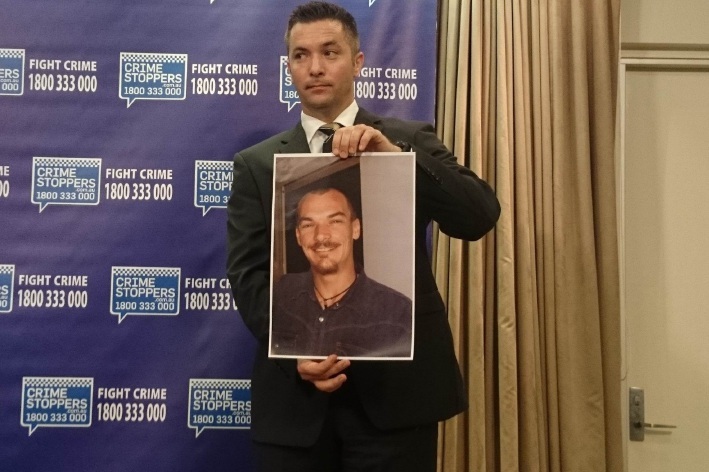 Anyone who can assist in the investigation can call Crime Stoppers on 1800 333 000 or www.crimestoppers.com.au.